Jessica Folcker born July 9, 1975, is a Swedish singer, better known by her mononym Jessica. 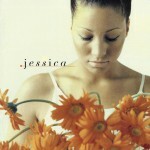 Her debut album Jessica in 1998 used her mononym, whereas follow up album Dino credited Jessica Folker. Her following albums På svenska in 2005 and Skin Close in 2007 have used her full name Jessica Folcker. She is best known for her two international hits "Tell Me What You Like" and "How Will I Know (Who You Are)" both in 1998 and for "(Crack It) Something Going On" that featured her vocals and was a big hit for Bomfunk MC's in 2002.